This cloud of witnesses is possibly the sturdiest cord of my ministry practice. It is a real and tangible sign of the power and presence of the Holy Spirit. It is more than knowing I am not alone. The power of being bound to RevGalBlogPals means being intertwined with people who are working on behalf of the church in all kinds of places around the world. It means I am wrapped up with people who are invested, along with God, in my social and spiritual sanctification. It is only in this group that I have been confronted with and encouraged to mature in white awareness, that I might be a better friend, ally, and supporter to my black and brown friends and neighbors. It is in this group that I have learned more about ministry to LGBTQ+ folk and their families. It is in this group that I have pondered how to let go of ableist ways of thinking about God and also learned to expand my mind to the vastness of Her power and majesty. 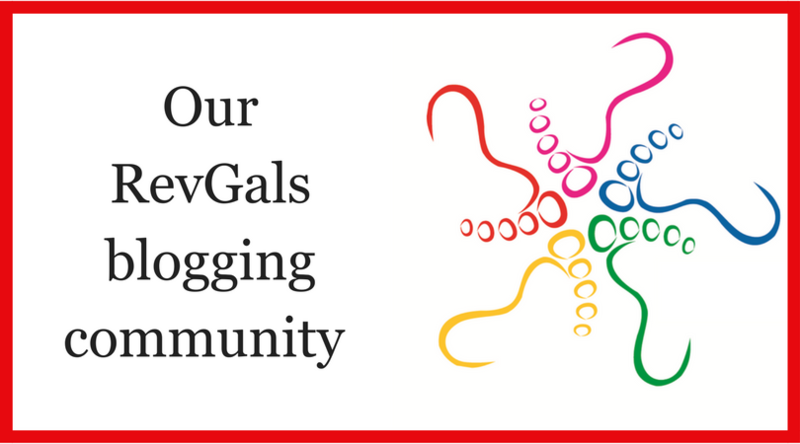 I donate to RevGalBlogPals every month as a small remuneration for what I get from being in this group. Even as I work behind the scenes on the board and in the admin groups, as well as writing for the blog, I still get more support than I give. I am so grateful for the dreams and deeds of founders including Martha Spong, Sally-Lodge Henderson Teel, MaryBeth Butler, and so many others who used the gift of the internet to create a cord of God, individuals, and an international host of powerful women. This three-strand cord will not be quickly broken. The Reverend Julia Seymour serves Big Timber Lutheran Church (ELCA) in Big Timber, MT. She blogs at lutheranjulia.blogspot.com and readsallthethings.com. 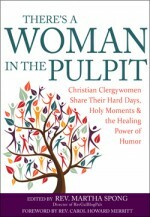 She contributed to There’s A Woman in the Pulpit and is President of the board of RevGalBlogPals, Inc. The Rev. Julia Seymour, front and center, with participants in RevGals REVive Iona, May, 2017. ← RCL: Get Dressed and Go!